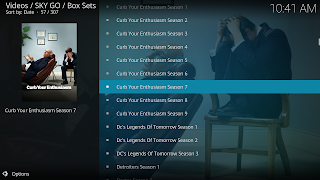 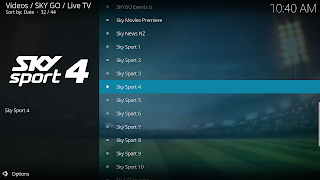 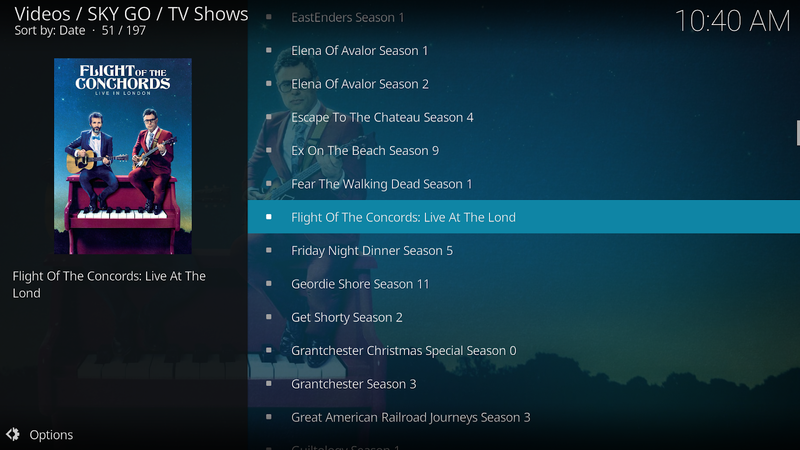 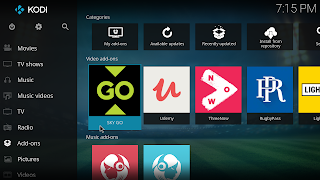 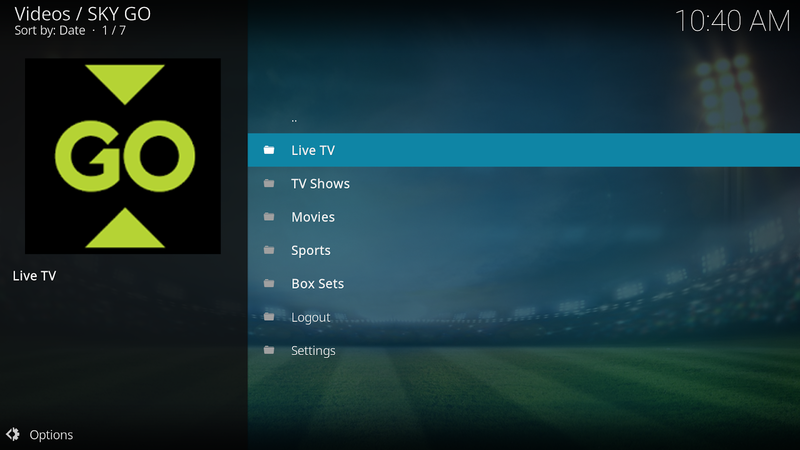 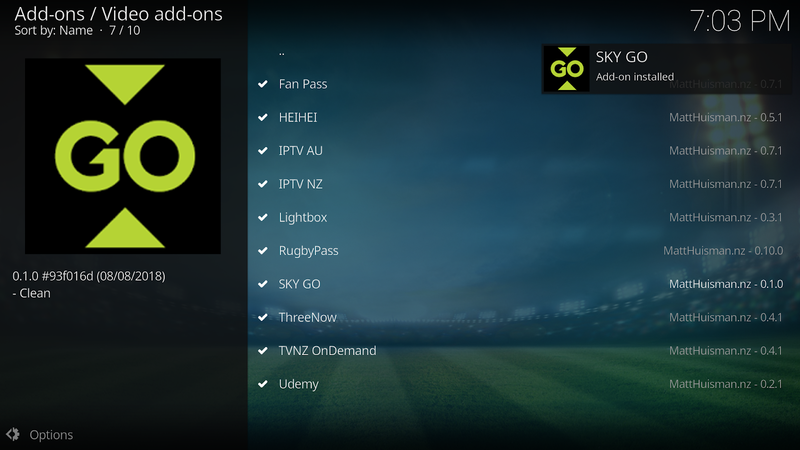 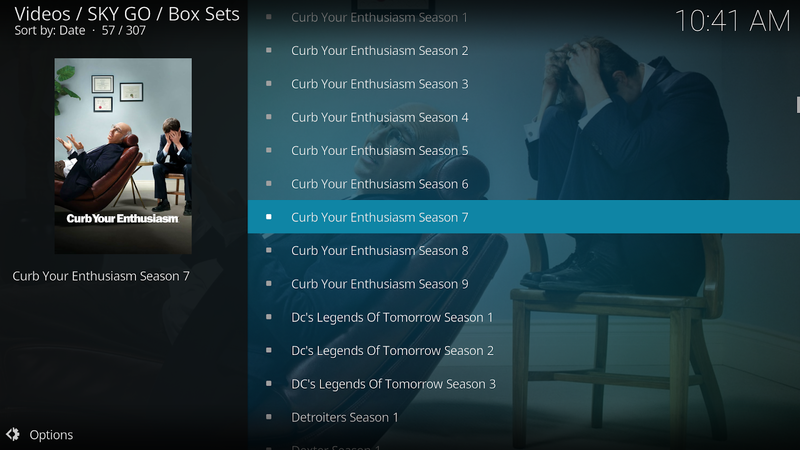 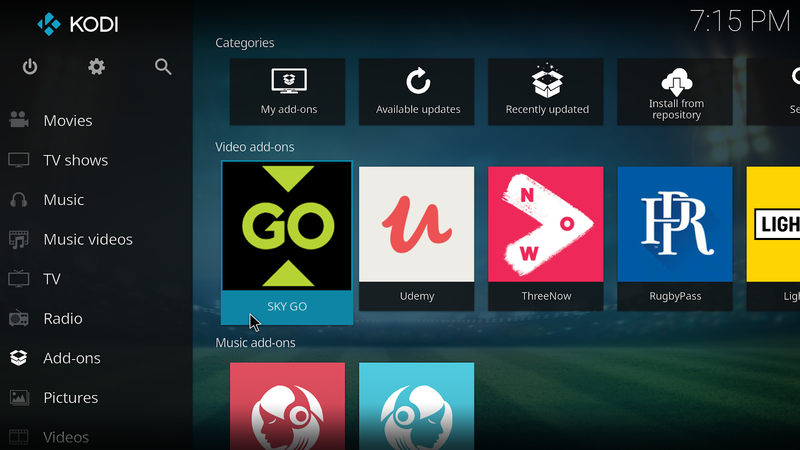 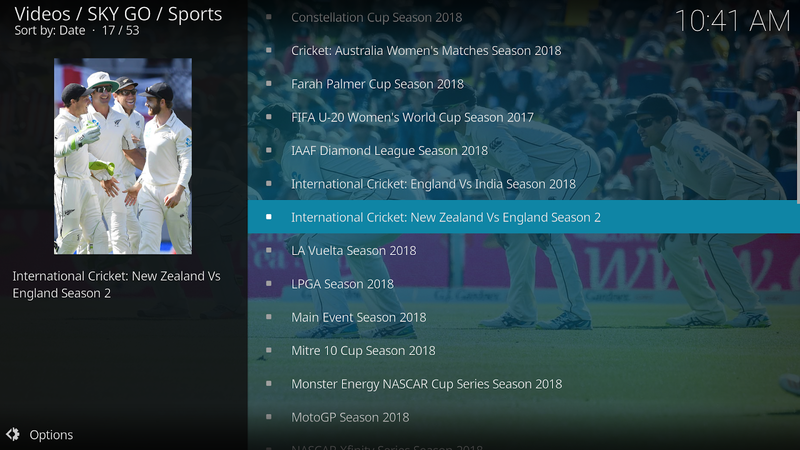 Select "Video add-ons" then "SKY GO"
You can now access the add-on under Add-ons in the main menu. You will first need to login with your Sky credentials. 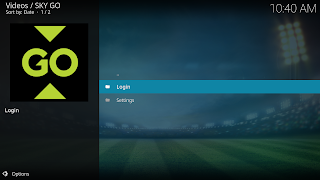 The addon will use a token to persist login. 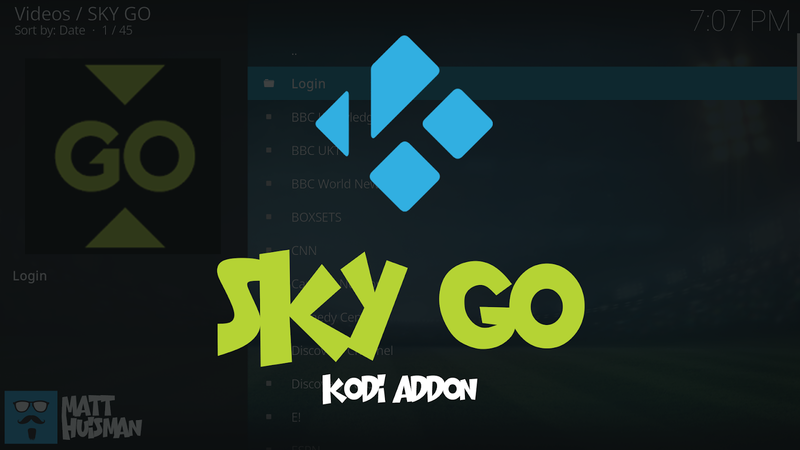 If you login to the addon on a different device, then this token becomes unusable. 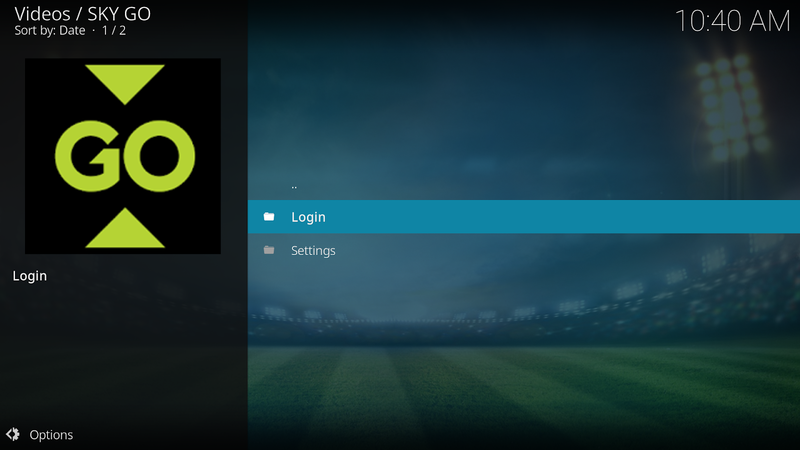 To work around this the addon will give you the option to store your password when you login. 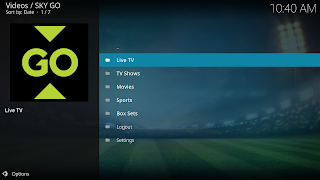 Select Yes if using the addon on multiple devices otherwise select No. 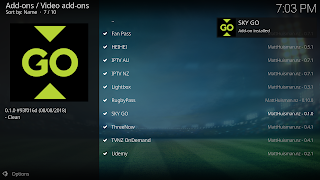 Your username, token and password (if selected) are stored in the settings.xml file in the addons userdata directory.